June 4th is a bit of a sad anniversary. At least if you’re thinking about the “Brusilov Offensive” in World War I. It’s rather happier if your concern is the start of the pivotal Battle of Midway in which, just seven months after Pearl Harbor, an outnumbered, outgunned American naval task force inflicted a decisive defeat on the mighty Imperial Japanese Navy from which it, and the militaristic ambitions of the Japanese government, never recovered. Midway is a striking vindication of the power, as well as decency, of free societies. I strongly recommend Victor Davis Hanson’s account of it in Carnage and Culture: Landmark Battles in the Rise to Western Power and, indeed, the entire book. But back to Brusilov. Because in enjoying, and seeking to defend, my heritage of freedom I do frequently spare a thought for those less fortunate who do not have one. In case your high school history classes skipped over it, the Brusilov Offensive was a mighty Russian push in the summer of 1916 that was astonishingly successful, especially given the generally sorry Russian record in World War I, featuring novel tactics, clever strategy, massive territorial gains and, sadly, a disastrous outcome. The Russians were pushed by their Allies to launch this and the typically dismally failed Lake Naroch Offensive further north to relieve pressure on the French at Verdun. At Lake Naroch the usual logistical and other failings led to the Russians taking only five times as many casualties as the Germans. 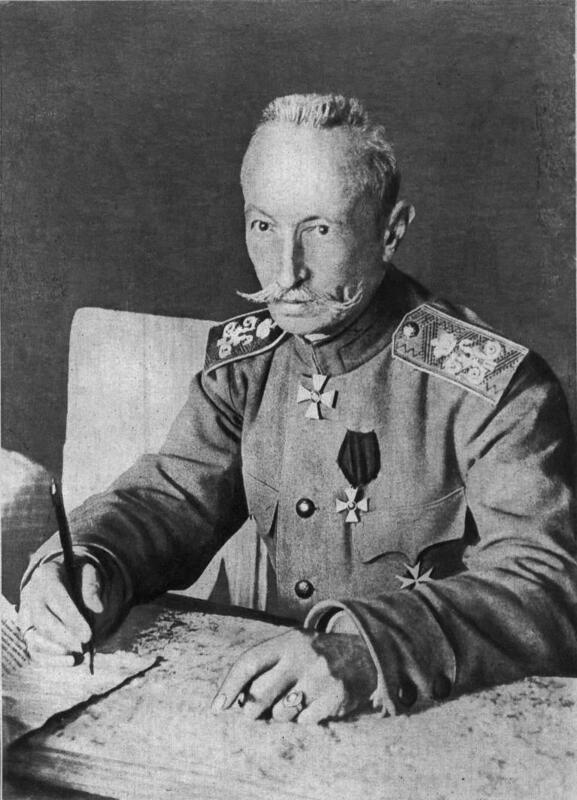 But General Brusilov’s imaginative use of a brief, accurate bombardment followed by shock troops infiltrating weak points did not merely shred the Austro-Hungarian lines, it inspired later German and Allied doctrine in the final years of World War I and into World War II although the Russians themselves swiftly abandoned them for bloody “human wave” attacks. The Brusilov Offensive also forced the Germans to divert forces from Verdun to save Austria-Hungary, whose army never really recovered from its losses in the summer of 1916. It drew Romania into the war on the Allied side. And it cost Russia some million casualties and by drawing Romania into the war left it a longer front to defend with fewer troops. In the end it was a strategic disaster for Russia, which had no need of another one and collapsed a year later into anarchy followed by hideous tyranny. But never mind geopolitics. Think only of the Russian soldiers, many determined to defend their homeland, poorly equipped, mostly poorly led, slaughtered in poorly counted but enormous quantities under miserable conditions that lead only to a sardonic observation that even a victory on this scale could only spell ruin for the feebly callous regime that sent them to their deaths. Subsequently you got the Bolshevik Revolution, Stalin’s purges, mass killings and the Holodomor which did, admittedly, bring the genuinely heroic victory over the Nazis but only to see Brezhnev brought into power, the squalid demise of Communism and then the equally squalid rise of Putin. Russia is not unique in this regard. Around the world men and women are born into cultures with no tradition of liberty, no genuine history of glorious victories for freedom against long odds, no Magna Carta, no Yorktown, no Waterloo, no Juno Beach. Their only history worth cherishing is a fiction, and they fight and die valiantly for hearth and home on behalf of a pitiless and incompetent regime that renders their sacrifice useless. Midway is a victory to be cherished by all free people. The Brusilov Offensive should also be remembered, sadly, to honour those who deserved a better cause than their national history and political culture could possibly offer them.